Who's heading to Brooklyn to see Jean Paul Gaultier? The pioneer of avante garde and innerwear as outerwear has an exhibition at Brooklyn Museum right now! The show opened Friday and is running until the end of February. The exhibition is anchored by seven themes that have influenced Gaultier since his career began in the '70s. Huate couture and pret-a-porter will be on display. The exhibition is multi-media, and the mannequins feature projected faces that interact with the spectators. Check out the trailer shot by Stephanie Sednaoui. Many iconic figures in the world of art, music, and advertising have featured Gaultier over the years. He outfitted Madonna for her blonde ambition tour. 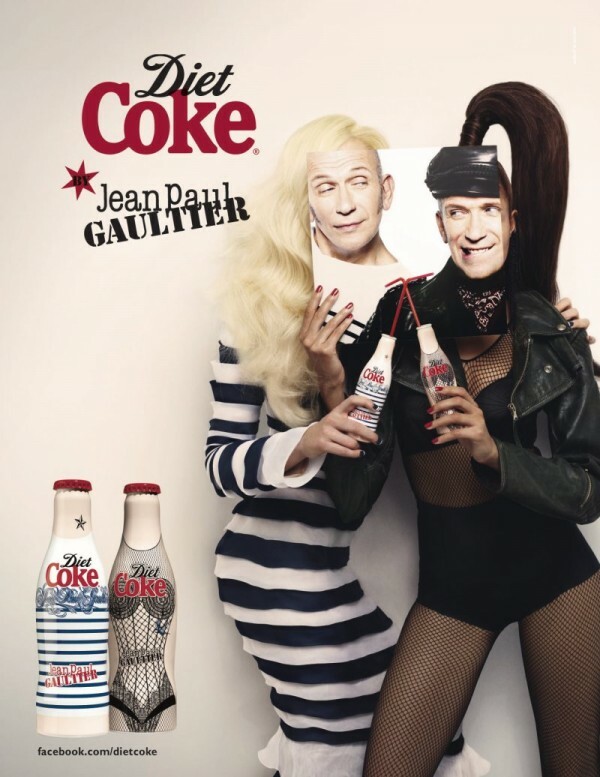 Diet Coke also commissioned Gaultier to design a bottle for them, and his designs were featured in their ad campaign. Madonna in the Gaultier cone bra. Gaultier show off his Diet Coke body. 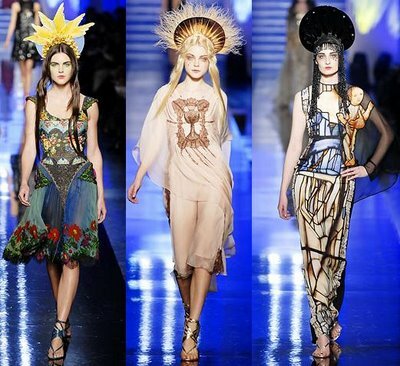 Gaultier has produced some pretty amazing collections. From the Virgin Mary to modernizing classic herringbone, his inspirations have been varied and poignant. Check out the slideshow below.